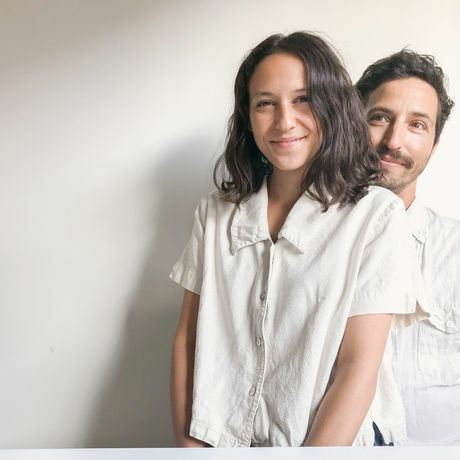 Meet Emma and Ofer Shahar, the crearive duo behind Craft & Bloom - a contemporary design studio whose love of natural materials and minimalist aesthetic is the foundation for everything we do. Our M.O is this: bringing simple, eco-minded living and sensible design to clients we love. Based primarily in Jaffa/Tel Aviv, Israel, though we moonlight in Toronto, Canada, we work within all kinds of spaces, including, but not limited to: home interiors, restaurant design, green walls, and retail spaces. Coffee salon & roastery, Nahat offers several blends & single origin specialty coffee brewed in various methods. The cafe serves freshly baked goods and more. Come taste our coffee at CreativeMorningsTLV and visit our cafe on 1 Reines St, off Kikar Dizengoff, Tel Aviv. The Edmond de Rothschild Center, founded by the Edmond de Rothschild Foundation, is a home for arts and culture. It provides students, researchers and graduates from leading institutions a unique space to display their work in the heart of urban Tel Aviv. Hosting events, exhibitions and lectures in various fields, the Center encourages original and innovative Israeli art and culture. Thursday February 14: Join us for an inspiring morning with Emma and Ofer Shahar, the duo behind Craft & Bloom, on the theme of #CMSymmetry. Tickets are FREE but space is limited so be sure to click ‘register’ above and grab your ticket. Great coffee by Nahat, pastries and mingling from 830am. Emma and Ofer’s talk is in ENGLISH and will start at 9am SHARP. And you’re off to work by 10am. Parking: The closest Irya Tel Aviv parking are Habima or opposite Yehuda Levi 79 / Delicatessen. Both are a 5min walk to the venue. PS “But I have work” is not a good enough excuse. Here’s what to say to your boss.